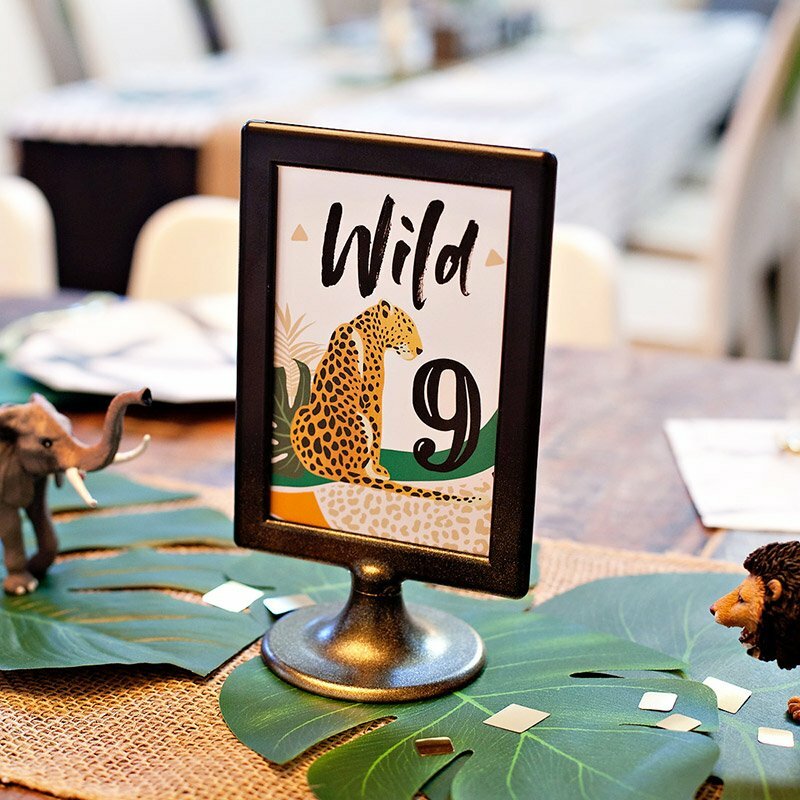 Today’s Real Party feature is both super cute AND budget-friendly! 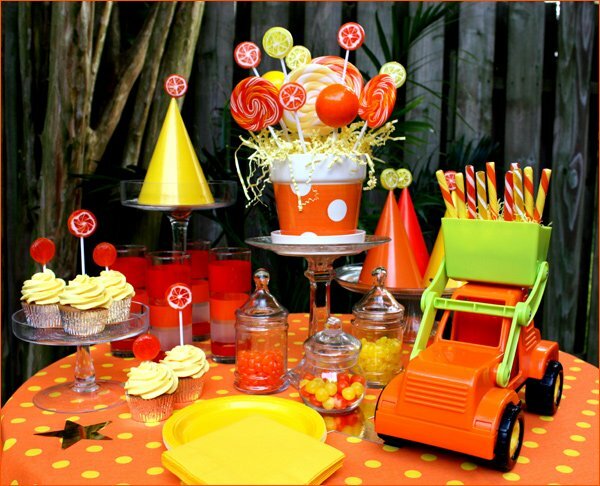 This Orange & Yellow Trucks theme was designed by Courtney Dial of party planning blog Pizzazzerie, and it’s full of great inspiration for both boy & girl birthday parties… or really anyone with a serious sweet tooth! 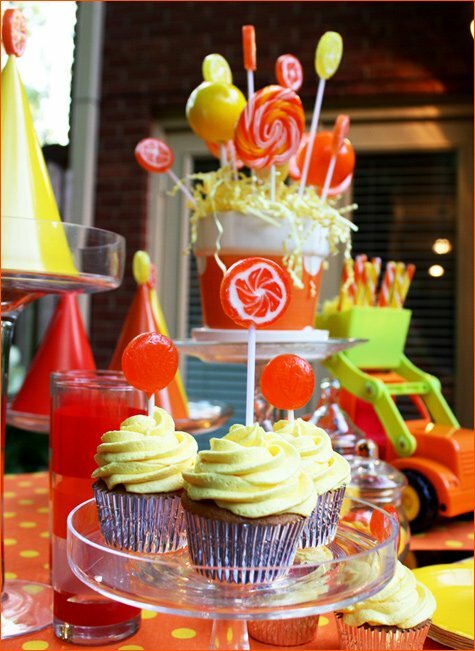 Although this party was designed around cute, colorful toy trucks, I have to say that the lollipop accents steal the show too… especially the clever idea of using them as birthday hat toppers! 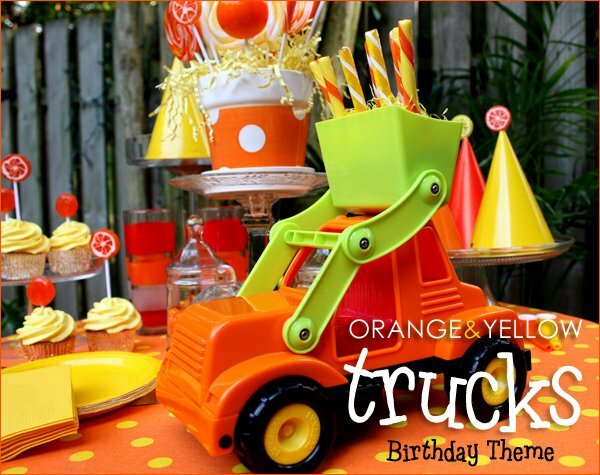 “This Orange and Yellow Trucks Party was inspired by my sweet friend’s little son whose first word was truck! He adores all kinds of trucks and bright colors – so it was easy to design this theme, especially with summer around the corner. Bold and bright is in, so we headed to the fabric store and found this fun polka-dot fabric to use as a tablecloth. Not only are the possibilities endless when you use fabric as your tablecloths, but you can stay within budget too! Next, we found the darling dump truck at a local toy store, it served as a great decoration and a fun takeaway for the birthday boy too! 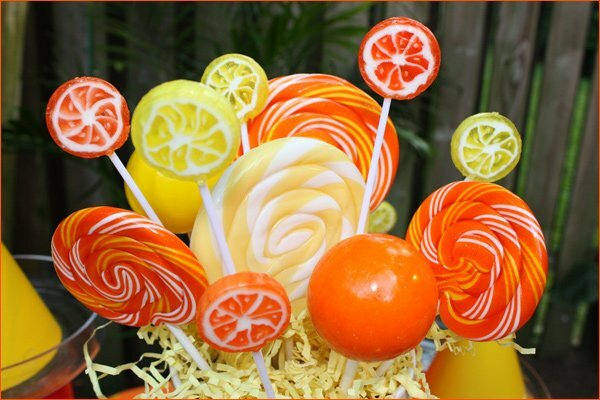 Our birthday boy loves candy, so we found lots of lollipops to create a lollipop bouquet in a bright planter found at Michaels (on sale!). 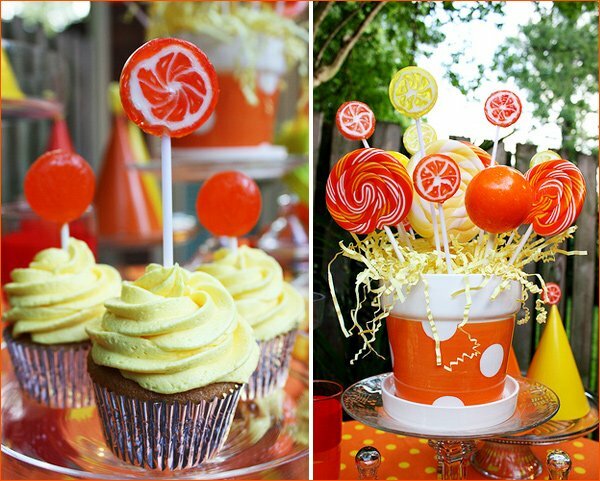 We also used inexpensive, smaller lollipops as cupcake toppers, and glued leftover lollipops to the top of the party hats for some extra pizzazz! Glass cake stands and apothecary jars helped display all the different goodies. This wreath is so easy! All you need is a circle cut from a corrugated box and wrapped with ribbon. Then just add party hats, horns, funny birthday cards, balloons, etc. 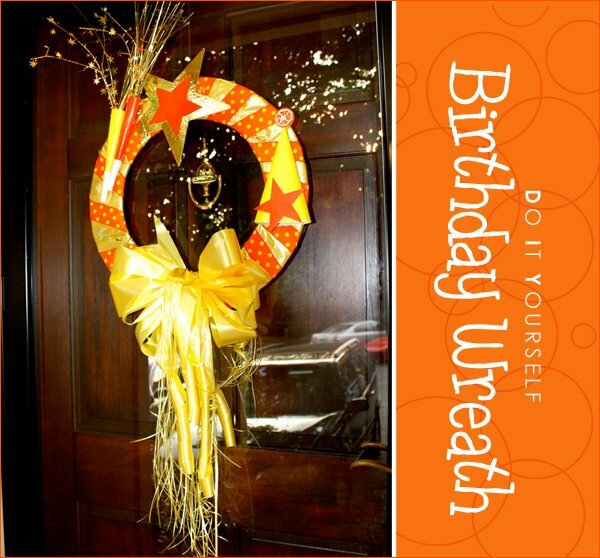 to create a wonderful wreath for your childs birthday, a co-worker, friend or neighbor. • One 18-inch round circle cut from corrugated paper with the center cut out, leaving a 3-inch wide border. • Embellish with party hats, horns, paper stars, balloons, etc. 5. Glue party hat, party horns, stars, etc. to the wreath and/or whatever you want to use to personalize your wreath. I think it’s beautiful, for sure… Where are the rest of the truck details? 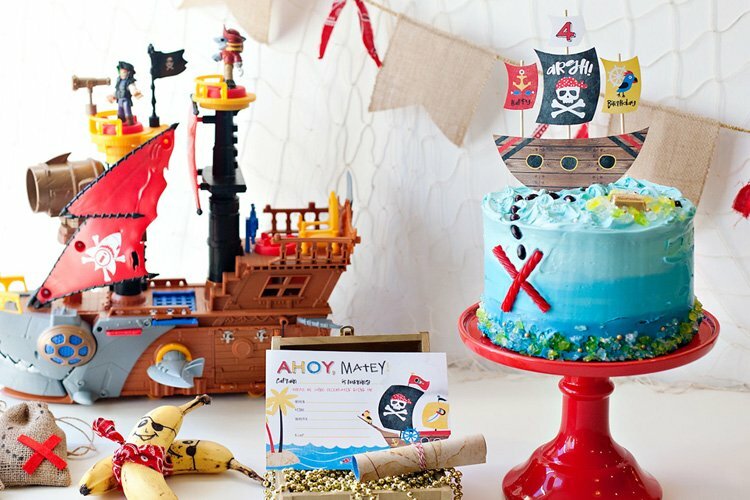 this is adorable, i have 2 boys, i would love to do this for a birthday! =) nice job! So adorable! My baby loves cars and trucks too! This is definitely an idea for his 2nd birthday! So super cute! Congrats Courtney! where do you find all the glass serveware? 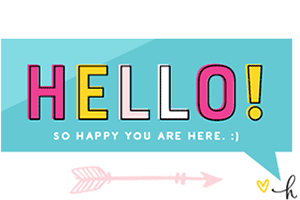 i have been looking for good deals on apothacary jars, cake stands, cupcake stands, etc., and am having trouble finding…help please! love the colors! super fun! Awesome! Love the budget friendly DIY stuff! 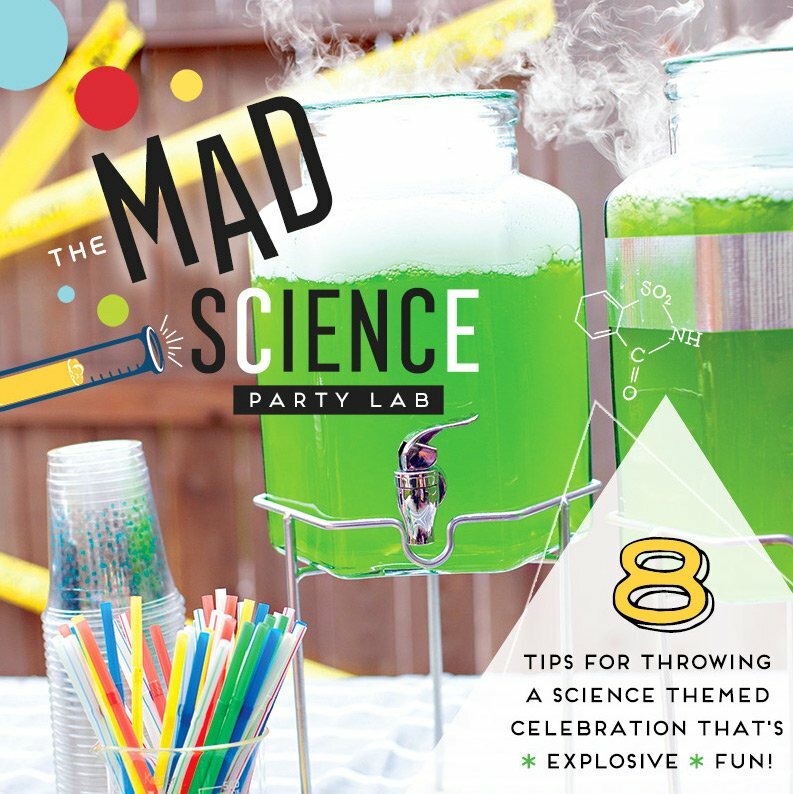 The colors add a fun element to the party! I LOVE the fact that truck parties are back again!!! I have three boys spread over a wide period of time so I’ve used this theme soooo many times. It never gets old. I love that you picked orange. Great choice. I have started using fabric as tablecloths as well but never know what to do with the edges since I can’t sew. Do you sew them for a pretty edge or do you find other ways around this problem? Anyone? Bueller? For non-sewers you can use either fabric glue a fusibles to turn your edges. I have never found these to be as durable as sewing the edges under for a clean hemmed edge, but it words in a pinch and even through a few launderings. And of course, you can always use the old standby…pinking shears. These orange and yellow details are so fresh and fun! I love this idea! Perfect for a baby boy shower, too! Stunning theme party. They are becoming more and more popular these days, with the builder theme being very popular for boys. 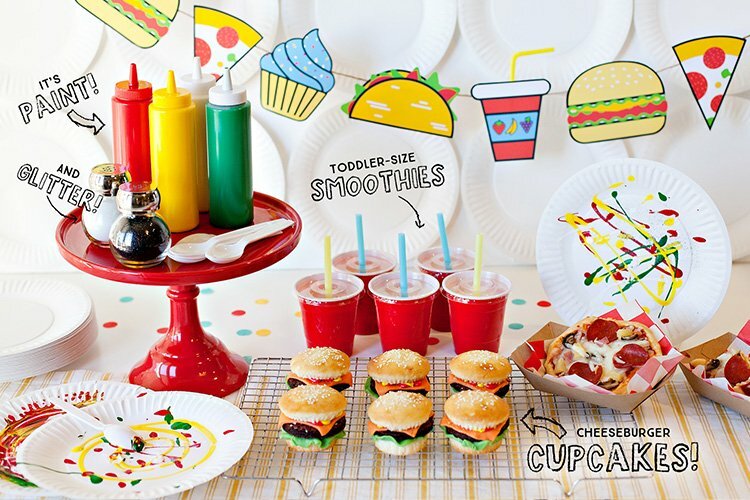 adorable, and looks like a fun idea for a party as well! What great colors for a birthday party! My little boy is crazy about trucks and I’m crazy about orange!! One could enhance this party also by renting a 3D simulator of a racing game! Where did you get the great suckers? can u tell me where to get these truck or something like a dump truck, i have been looking all over.? Great colors! Thinking of this for a joint boy girl party!